I was catching a train recently from King’s Cross Station in London and stood, quite by chance, next to a snaking line of people with backpacks and carry-cases. That’s a long line for a train, I thought, until I spotted that I was waiting next to Platform 9 ¾, which as everyone surely now knows is where Harry Potter catches the Hogwarts Express at the start of each new school term. Even I know, and I am the only person in the UK never to have read any of the books. There’s a trolley disappearing into a brick wall, and a sign marked ‘Platform 9 ¾’, and at most times of the day a huge line of people waiting to have their photographs taken – not to mention an official Harry Potter merchandise store just a few steps away. You put a Harry Potter scarf on – helpfully provided, plus a wand if you want one – and then jump into the air for a photo, scarf trailing behind you as you cling on to the trolley and pretend to disappear through the wall. At least that’s the theory. While I watched, not a single person managed to get it right first time and it was such an odd spectacle that I made a video. If you like it, please subscribe to my YouTube channel – it encourages me to keep filming and sharing with you. Anyway, it also set me thinking about the other Harry Potter film locations that I’ve happened upon over the years, also quite by chance. The best part – for me anyway – is that they are all amazing locations in their own right, but if you want to take the Harry Potter trail on your tour of England, start with these magical places. 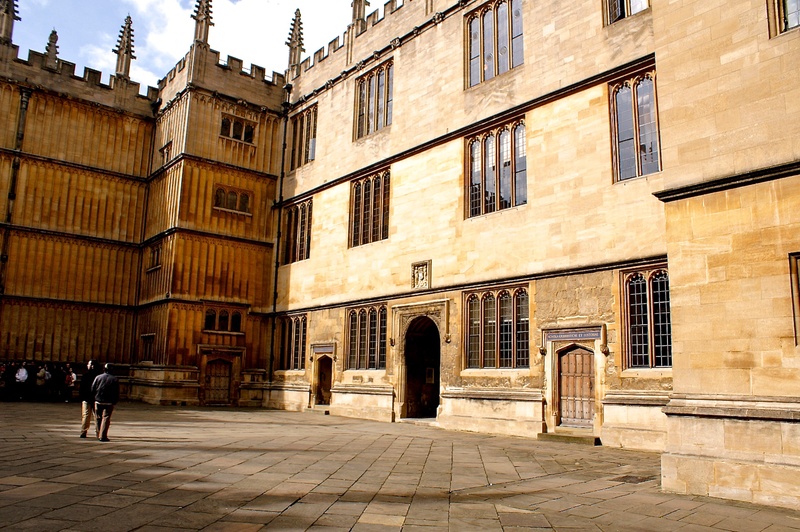 The main university library, the Bodleian, first opened in 1602 and has one of the most extraordinary collections of books and manuscripts in the world. It turns up in several Harry Potter films, doubling as Hogwarts library and as the school infirmary, and you’re welcome to wander the quadrangles, take a tour or visit an exhibition. 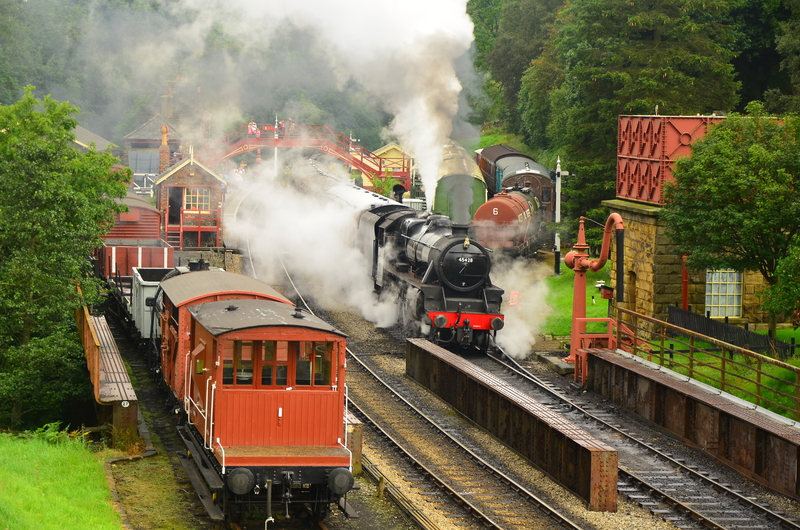 When international film crews want a working steam railway they often head straight for the North Yorkshire Moors Railway, which runs heritage trains most days of the year from Pickering to the seaside at Whitby. It’s a stunning route, right through the dramatic heather-clad moors (come in late August to see them blaze a glorious purple), with stops at tiny yesteryear stations like that at Goathland. The station is a perfectly restored piece of Victoriana, and in the early Harry Potter films it appears as ‘Hogsmeade’ station – the closest train station to Hogwarts, where all the students pile out and head off to the school. There’s a pedestrian bridge over the rail lines here, which is a brilliant place to stand for photos or videos of vintage steam trains passing right under you. This extraordinary natural limestone amphitheatre has soaring 300-foot-high walls, topped by an otherworldly crazy-paving limestove ‘pavement’, split by deep cracks called ‘grykes’. The overnight camping scene in ‘Harry Potter and the Deathly Hallows’ takes place up here, and it’s the only one of these locations that you’re really going to have to work for, as it involves a steep climb up from pretty Malham village. 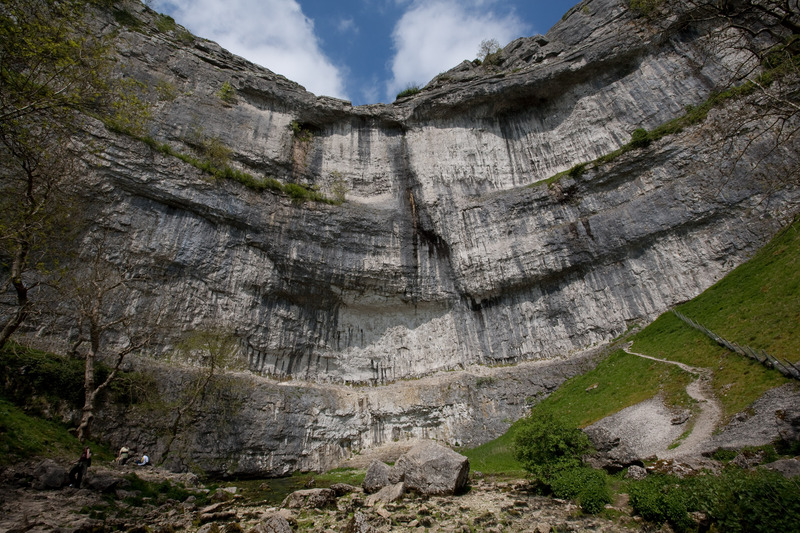 It’s a wonderful hike – 8 miles if you go all the way around, via Malham Tarn – which finishes with a climb down the gorge of Gordale Scar, back to Malham village. I made a video of the last part of this walk, on one of those stonkingly wet days when the heavens opened and I had no choice but to keep going – I can laugh now, but it was a pretty dramatic walk that day, I can tell you. 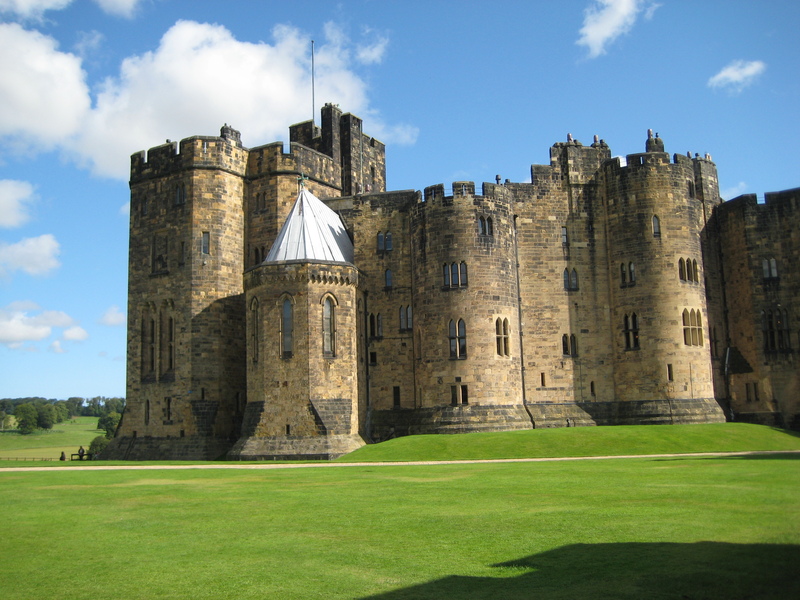 One of the most magnificent castles in a part of the country known for magnificent castles, Alnwick played a starring role in the first two films, as Hogwarts (though the wizard school has also been filmed on location in several other places). 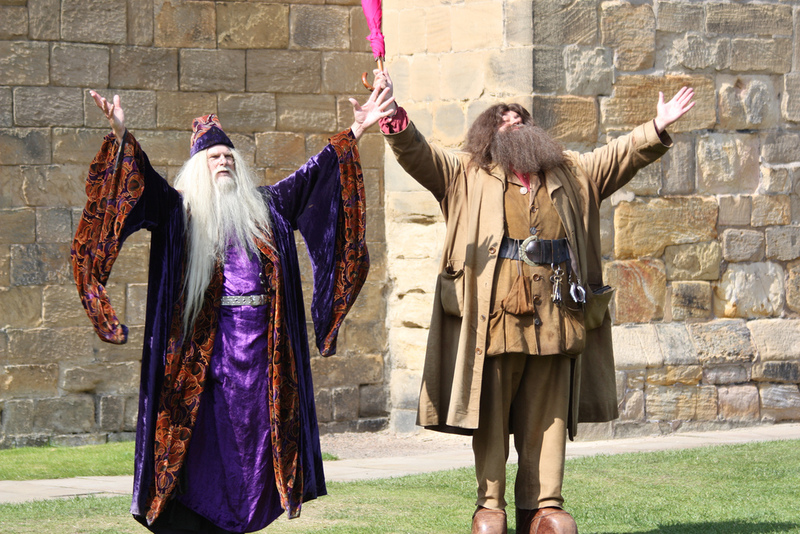 The first Quidditch lesson is the most famous Alnwick scene, and the castle makes the most of its Potter legacy by offering hugely popular broomstick-training sessions and outdoor film screenings. The castle itself is one of the unmissable northern England sights – it’s been lived in by the same family, extraordinarily, for over 700 years. And while you’re here, head over to neighbouring Alnwick Garden, which is magical in an entirely different way – I wrote a post about its unusual Poison Garden here. What other Harry Potter locations have you visited? And do you have any other favourite film locations in the UK? It would be great to hear from you – write a comment below, it’s magic! This is a fun piece Jules – I just shared it – so many Harry Potter fans out there! Interesting and informative….. Thanks Janet, that’s nice of you to say. I’ve realised there are even more HP locations that I’ve been to as well, so I might have to have another crack at this later! What fun! I must confess I’ve read all the books and love them! I’ve never quite managed to read the books, but I do keep stumbling upon the film locations quite by chance, so maybe Harry is trying to tell me something!